The best Mac disk repair diagnostic tools & more! As Macs continue to gain market share, there is an increased likelihood that you will have to support them if you are a tech. And even if you aren’t a tech, it’s good to know which tools are the best to use when it comes time to repair your own. I have put together a list of what are, in my opinion, the ten best repair tools for troubleshooting, diagnosing, and repairing a Mac. Many of them are free or offer a free trial. 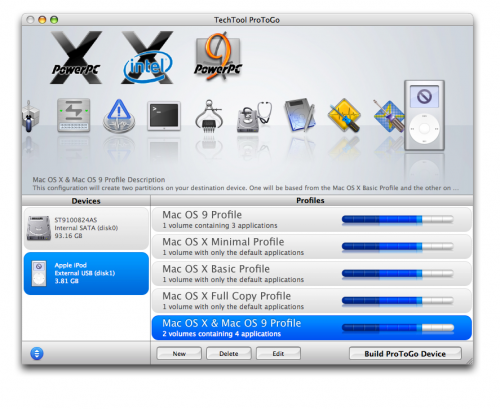 TechTool Protogo is a Mac repair program suite which contains three of Micromat’s best Mac repair tools; TechTool Pro 8, TechTool Pro Classic, and DiskStudio. Protogo creates a bootable Mac repair toolbox with these tools as well as any of your own tools on a portable hard drive or flash drive. You can then boot from this drive, bypassing the OS, and run diagnostics on a computer to determine problems. Protogo also allows you to repair and recover data from problematic hard drives as well as defragment, optimize, and securely delete data. 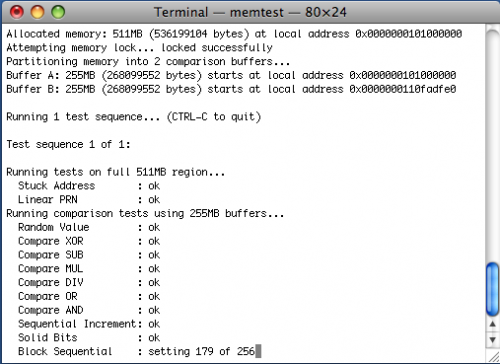 Memtest OS X is a memory testing program for Mac OS X. It is a command line utility so it can be ran in OS X or in Single-User Mode if your Mac will not boot. It is great for testing intermittent system problems when you are having trouble determining if it is a memory problem. If you prefer memtest with a GUI front-end, then be sure to check out Rember. Rember will run in OS X but will not work in Single-User Mode so Memtest OS X is the better option. 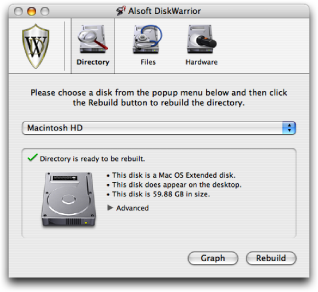 DiskWarrior is arguably one of the best hard drive repair programs for the Mac. It works differently than other data repair programs. Instead of trying to rebuild the damaged data itself, DiskWarrior builds replacement data based off of the original data. It then verifies the new data structure based on the original to make sure it is error free. You can also use DiskWarrior as a preventative maintenance utility for hard disks. When run, it rebuilds your directory eliminating any damage that you may not be aware of. It also optimizes the directory for better performance. If it is more serious and your Mac’s hard drive has crashed, I have provided an extensive data recovery guide with a list of Hard Drive Recovery Tools in my article How to Recover Data from a Crashed Hard Drive. 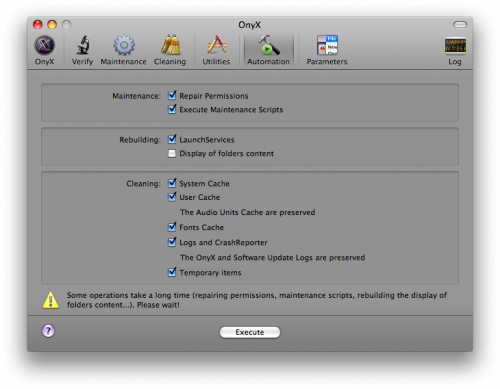 Onyx is a maintenance, optimization, and personalization utility for Mac OS X. It allows you to run hard drive diagnostics, run system maintenance tasks, delete caches, and configure tons of OS X hidden features. Even if you aren’t using it as a repair utility, it is a great application to help keep your Mac running in top shape. Data Rescue is a data recovery program that focuses purely on recovering data from corrupt drives instead of hard drive repair. It scans the corrupt drive analyzing all of its contents and allows you to choose which data you would like to recover. It even scans for deleted files. 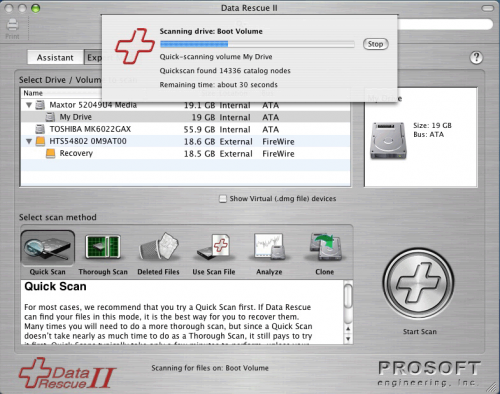 Data Rescue II restores the data to a separate drive leaving the original data intact. It comes with an emergency boot CD that you can use to recover data when the computer will not boot and it also works on drives that won’t mount. 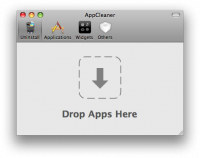 AppCleaner may not be classified as a repair tool but it can be used as one. When you are having trouble with an application in OS X, you can simply remove it by dragging it to the Trash. However, this still leaves behind the applications preferences, caches, and other files that could still cause the same problem after you reinstall it. AppCleaner will remove all of these files making sure that the app is completely gone before you attempt a reinstall. 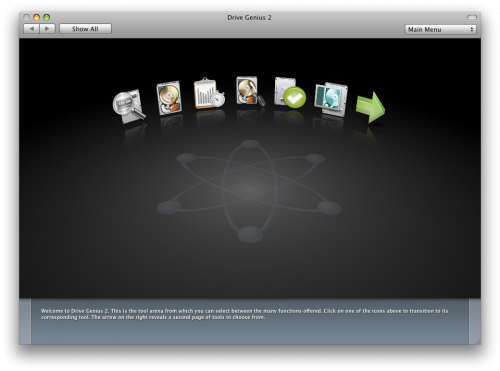 Drive Genius is a disk utility application for Macs. Its main features include defragmenting, running benchtests, directory repair, integrity checks, surface scans, repartitioning, cloning, shredding data, and more. This is actually the same program used to defrag Macs at the Genius Bar in Apple Stores. Drive Genius also comes on a bootable DVD so you can run it even when a Mac will not boot. 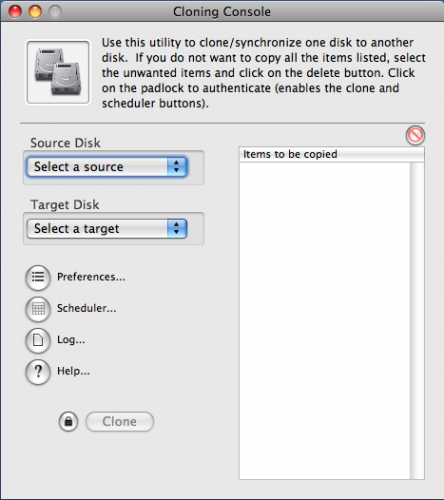 Carbon Copy Cloner is a simple yet very effective backup utility for the Mac. Like most other backup utilities, it can be scheduled to backup your Mac on a regular basis. The best part, however, is its ability to completely clone a hard drive with it still being bootable. This tool comes in very handy when you are replacing hard drives, setting up multiple Macs, or recovering from a system crash. Carbon Copy Cloner is donation-ware so you can download it for free without any restrictions. You can also check out SuperDuper which has more features but costs $27.95. 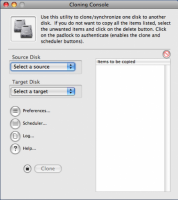 However, if you just need a simple backup and cloning utility, Carbon Copy Cloner does a great job. 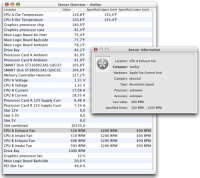 AppleJack is a troubleshooting utility for Mac OS X. It runs under Single-User Mode so it can be used even when OS X will not boot. AppleJack will repair disks, repair permissions, cleanup cache files, validate preference files, and remove swap files. You can select these tasks individually or have AppleJack run all of them and even reboot when finished. Unfortunately, at the time of writing this article, AppleJack is not yet compatible with Leopard but a new version is in the works. Be sure to check their page frequently for an update because this is an invaluable tool. 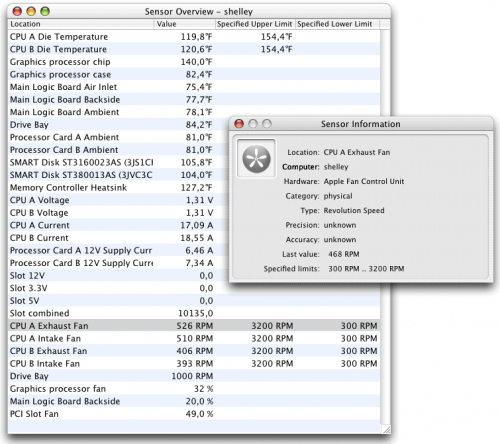 Hardware Monitor is a utility that allows you to view data from the hardware sensors in a Mac. It currently has support for temperature readings, battery data, voltage, current, fan speed, power and load, ambient light, as well as user-defined artificial sensors. It’s a great utility to use when simply trying to find out if your hardware is malfunctioning. This is kind of a nice segway into handy hardware tools and toolkits. Click on the following link if you want to see some great ideas on what I recommend for your Mac or PC Repair Toolkit. As you may know, I believe your should support Macs in your Computer IT Consultant Business. I state my case here in my article on Why You Should Support Macs With Your IT Business. Well if you were counting, that is 4 totally free Mac OSX disk repair utilities, and one so cheap it may as well be free! The best Mac repair disk software may well be a paid one depending on your exact needs, and I’ve shown you my pick for the best of those too. 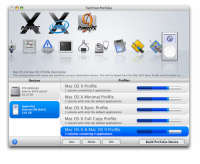 Excellent Mac disk repair software is provided above, for you to consider and try if you like. What Mac OS X repair tools do you like? Is there another Mac Disk Repair utility you’d suggest? Please leave a comment to help others, or if the above tools have helped you. And as for hardware, click this link if you want to repair hard drive-Mac. Nice list. Even some free ones. Hammer doesn’t even get an honorable mention? smcFanControl is a sure winner. Anytime you can make a computer run a little cooler, you are extending its life. Yep, smcFanControl is a great utility and I have been using it for quite some time now. As being a new user of Mac OSX i found this article very handy so thanks. I have Found one more interesting utility Drive tool Box (http://www.drivetoolbox.com/) from Stellar data recovery the tool is a set of more than 12 Utilities helps to manage and maintain mac hard disk. This guys putting together a list of drive and system test tools available for the Mac. It might be worth a look for those interested. It’s not a review but a list of the tools available. Thank you for the Helpful List! Carbon Copy Cloner is amazing! We use the licensed version and it does the job effectively! For all your Apple Repair needs visit http://www.MindTheMac.co.uk We are Apple Repair Specialists! Scannerz (http://scsc-online.com/Scannerz.html) isn’t’ on that list. I looked at the comments and their dates and they start in 2008. I don’t think Scannerz came around until 2010 or 2012. It, and I suppose some of the others products other people are listing may all well be worth looking at because this list is really quite old now. Thanks for the pointer and the link. I’ve noticed that a lot of the older tools have features that, IMHO, really address problems that don’t occur that often. Example: a lot of them have indexing repair functionality. How often does this happen anymore? The last time I saw this problem occur was on a system I had with Panther on it. The file system has matured and they’ve fixed bugs along the way. Either that or I’ve been very lucky. Mac Data Recovery Tool helps to recover all the deleted files, images, videos or music at the same position where it was saved earlier. Thanks for this list! I’d like to add one more awesome tool – Disk Drill (http://disk-drill.en.softonic.com). It’s professional data recovery solution with backup features. DiskWarrior 4 tools very help me..